With the trend in stage rigging to require metal slings for all overhead suspension, the problem has been how to accomplish this in the most efficient and cost effective way. 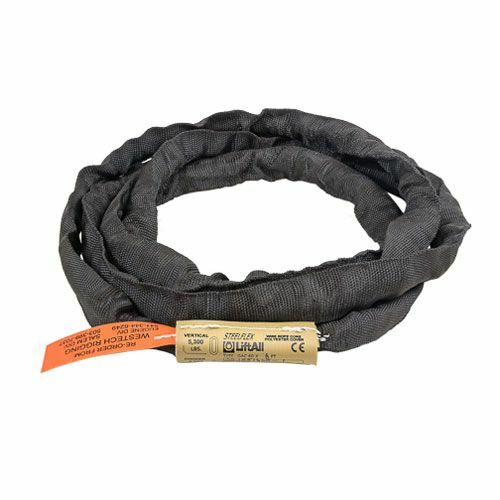 SteelFlex Round Slings are the answer to that problem! The load-bearing member of SteelFlex Round Slings is made from galvanized aircraft cable wound in an endless configuration. This wire core is encased in a black double-wall, polyester jacket. A unique inspection window allows for easy inspection of the core for broken wires and corrosion. The result is a highly flexible, easy to use sling that complies with all current rigging codes. "The steel sling with the fabric feel"